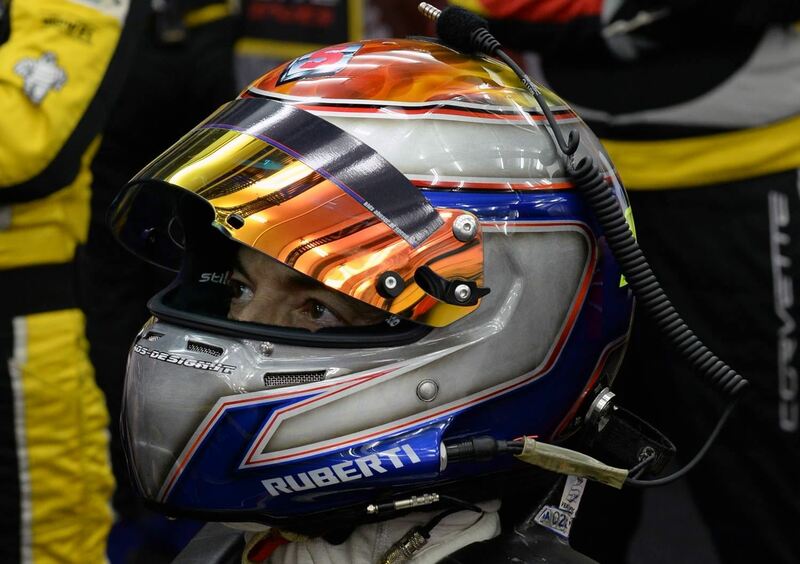 24/11/2015 - The 6 Hours of Bahrein, final round of the FIA WEC 2015, closed the fourth season of Paolo Ruberti in the endurance world championship, the first at the wheel of Chevrolet Corvette C7. In Sakhir, Ruberti and his co-equipers Gianluca Roda (ITA) and Kristian Poulsen (DK), have been protagonists since free practice with very good laptimes, performance confirmed in qualifying where they set the second time of LMGTE Am, behind Lamy-Dalla Lana-Lauda (Aston Martin), that eventually won the race. The race started in the best possible way with the Italian of Larbre Competition taking the lead in the initial stint and then, thanks to a very solid race pace, he also battled with some PRO lineups. In the following hours, some problems did not allow him and his co-equipers to exploit the high potential of the car, forcing the lineup to the final sixth place. FIA WEC 2015 goes therefore into the archives with Ruberti tenth in FIA Endurance Trophy for GT AM drivers at 52 points and a fourth place at Fuji as best result. Larbre Competition ended seventh in FIA Endurance Trophy for LMGTE Am Teams with the same score. "As far as result are concerned, this has been a disappointing season for us, especially as the car showed an interesting potential that was worth the podium in several occasions. A special thanks goes to my co-equipers Kristian and Gianluca, that got the most out of the Corvette improving the times set in 2014 on all track, and to all Larbre Competition staff".